Given the wide range of environmental conditions encountered and protective systems available, data on performance can become complex. A number of guides have been produced giving the design life of protective systems in different environments. 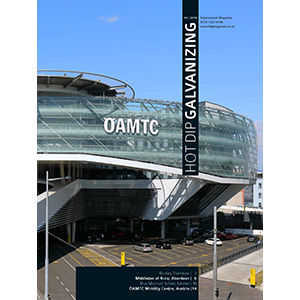 BS 5493 ‘Code of Practice for Protection of Iron and Steel Against Corrosion’ provided some information but its guidance on the lifetime of galvanized coatings is now out-of-date. Since BS 5493 was published in 1977, atmospheric levels of sulphur dioxide levels (SO₂) have reduced considerably. 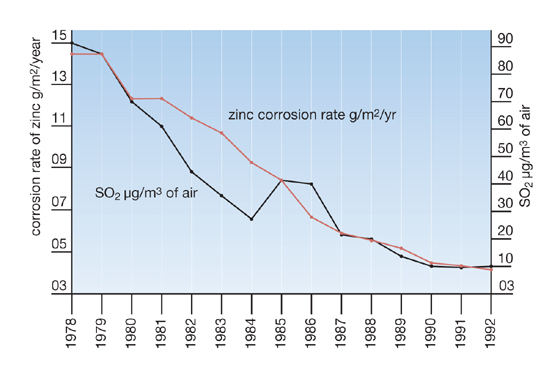 A direct relationship exists between the corrosion rate of zinc and airborne SO₂ levels. 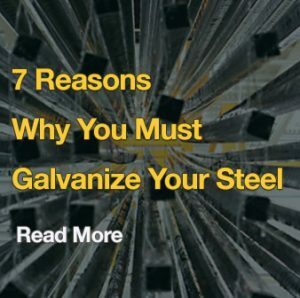 Therefore, the life of galvanized coatings has increased significantly since the 1970’s and it is important to use up-to-date information in assessments of coating life. BS 5493:1977 will shortly be replaced in part by the guidance document EN ISO 14713-1.